After I posted an entry a while back that pictured a few different clamp styles, I received a number of questions on what clamps I use and why I like them. 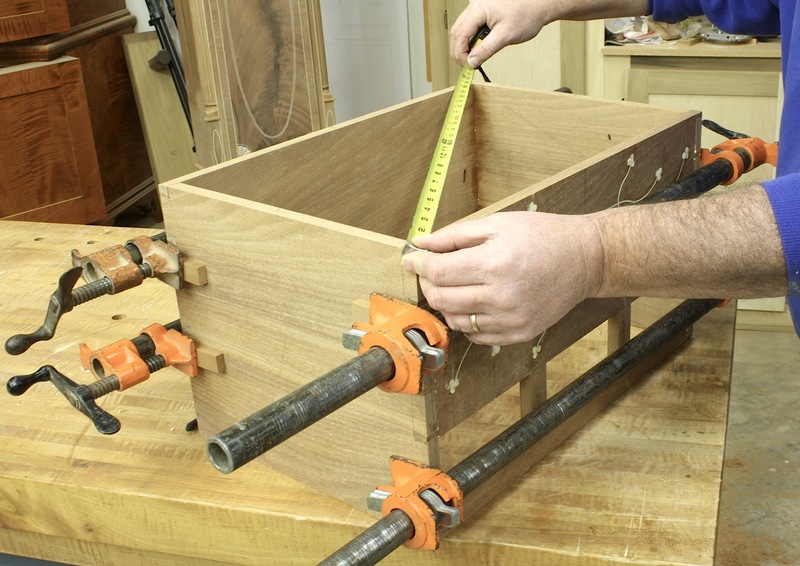 This entry explains many of my choices and is a good primer on clamps – at least from my point of view. When it comes to other clamps, I am partial to F-style clamps but not in a big way. I have a few of these clamps in the shop. Mainly, these clamps hold jigs for me and occasionally I’ll clamp together a couple workpieces. I do have a favorite F-style clamp. 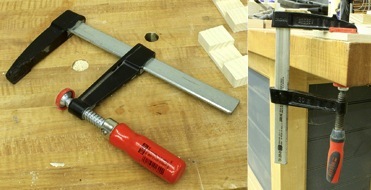 Pictured above are two different clamps. Both are Bessey, but one has a smooth handle and the other (on the right) has a rubber grip. The rubber grip is way easier to use. I would go with that style when I need to make another purchase. There is one additional clamp that I really like using. Also from Bessey is the Kliklamp. 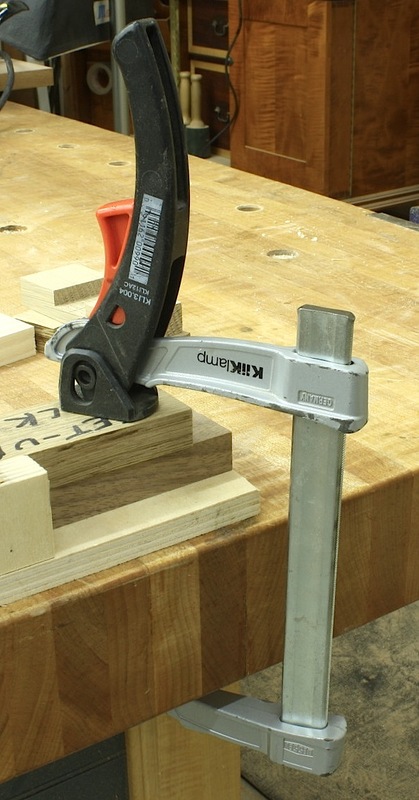 Technically, this is considered a lever clamp, but I use this just as I would F-style clamps. There are a few different sizes from which to choose, but the larger sizes I find a bit odd to use. Stay with the smaller sizes. Lastly, and not because there are any less useful, are my pipe clamps. 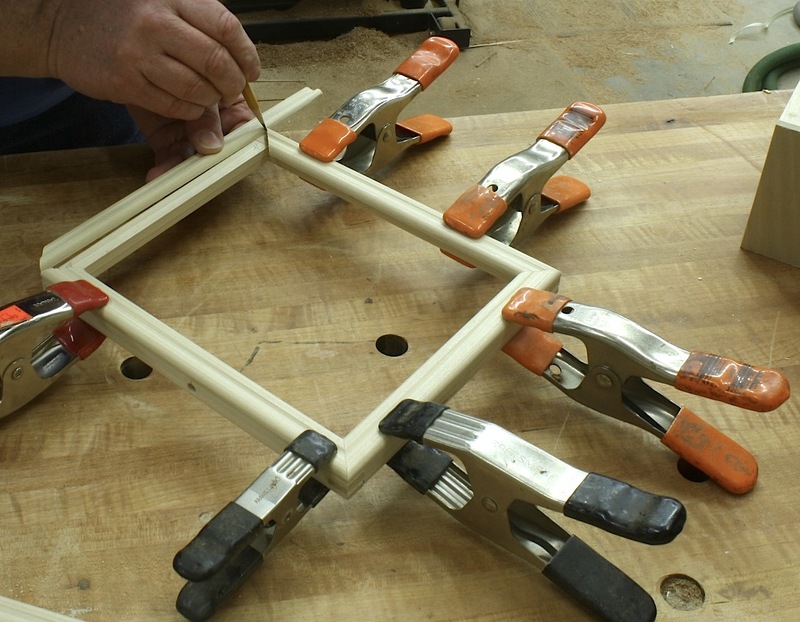 I began woodworking with these inexpensive clamps and still today find that I would use these for glue-ups over any other clamps available. To me these are blue-collar clamps that get the job done. And I can switch between pipe lengths if I need to to get the exact length needed for the job at hand. I have a wall of these clamps sitting in wait. You cannot ask more than that. Pipe clamps are easy to use and easy to store – clips used to hang brooms and garden tools, found in any hardware store, make excellent holders. I couldn’t glue up panels without them. Those are my favorites. What clamps do you use?